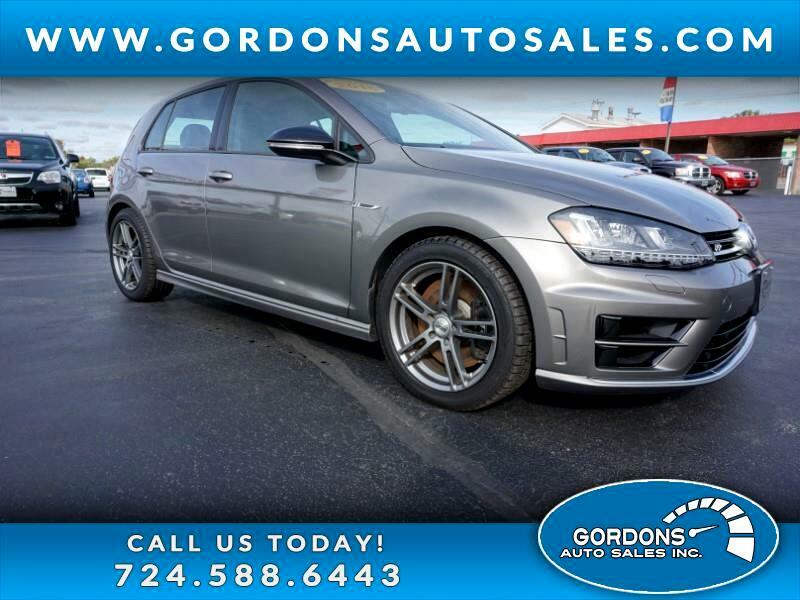 This gorgeous Golf R features a 292 HP turbo 4 cylinder--it is a ONE OWNER---has 4motion All Wheel Drive---LEATHER--6 SPEED manual transmission----4 NEW TIRES---PA inpsection and Emissions. The four-door Golf R hatchback offers seating for five and is equipped with a long list of desirable standard features. , , automated xenon headlamps, LED daytime running lights, heated and powered side mirrors, vanity rear spoiler, remote entry/start, automated windshield wipers, customizable driver modes, two-zone climate control, leather seating, heated and powered front seating, tilt and telescope steering wheel, split and foldable rear seating, parking camera, 5.8” touchscreen with eight-speaker sound system, and Bluetooth/iPod/USB integration ,parking sensors (front/rear), adaptive suspension system, GPS and premium Fender sound system. Estimated finance payment based on $28495 with 3.74 APR for 72 months , and $3000 down at time of purchase. Down payment includes Cash or Trade In Equity. Tax, title, and tags not included in vehicle prices shown and must be paid by the purchaser. Payment based on Tier 1 credit and final bank approval. While great effort is made to ensure the accuracy of the information on this site, errors do sometimes occur so please verify information with a with a customer service representative. To speak to someone in our office, please call 724-588-6443 or visit us at the dealership. Thank you for taking the time to consider your next purchase from our dealership.